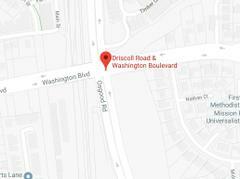 Traffic Advisory: Traffic Collision between Washington Blvd & Driscoll Rd. Please avoid area until the area has been cleared. You are being advised to please avoid the area. More detail to follow.